South Texas Law Review is an entirely student run scholarly publication. Our goal is to produce technically perfect volumes of scholarly work dealing with all facets of the practice of law. In the process of publishing the South Texas Law Review, members greatly improve their writing and editing skills. Additionally, members write their own comment or case note of publishable quality. 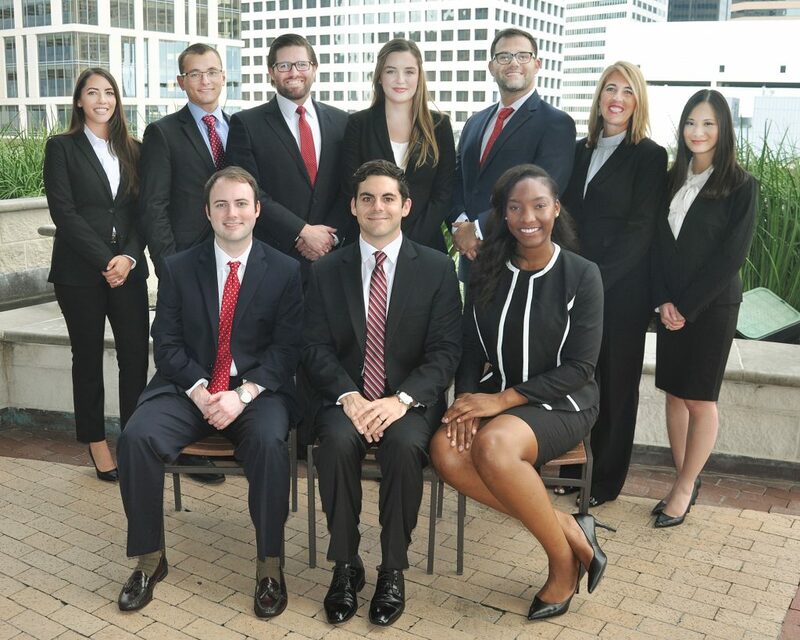 The South Texas Law Review demands the highest quality work from its members, but also rewards that work with more marketable skills and the acclaim that attends membership on South Texas Law Review. South Texas Law Review invites students who have: (1) at least 30 hours of credit, (2) completed LRW I & II, (3) four semesters remaining, and (4) a minimum GPA of 3.25 to participate in the Law Review Write-On Competition. The Law Review holds the Write-On Competition twice a year, over the summer and winter breaks. * For students who entered South Texas prior to fall 2011, the requisite GPA for participation in the writing competition and editing exercise is a 2.667. An invitation to Law Review candidacy is open only for the semester for which it is offered. Students are encouraged to try out for Law Review the first Fall or Spring semester in which they are eligible to join the Law Review. Students are admitted to Law Review candidacy by invitation only. Both part-time and full-time students are encouraged to become Law Review candidates. Students must complete four semesters of satisfactory work to receive credit for Law Review. The first semester is taken on a non-credit basis as a Law Review candidate. Permission to enroll in Law Review after the candidacy semester is conditional on satisfactory fulfillment of all Law Review obligations during the candidacy semester. Students completing fewer than four semesters of Law Review will receive no credit. Students may enroll for Law Review over the Summer to receive one semester’s credit. Thus, Summers count when determining whether a student has four semesters remaining. There is no requirement that all four semesters of Law Review enrollment be consecutive. New candidates for Law Review, however, are only accepted in the Fall and Spring semesters.